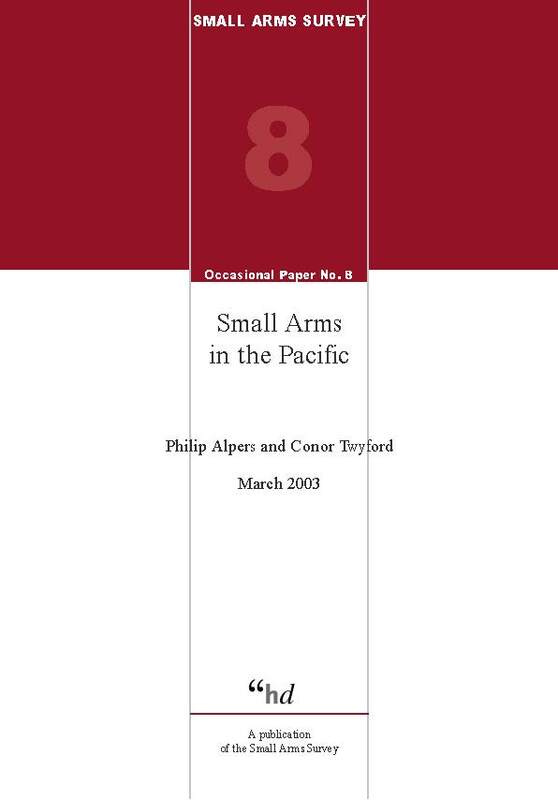 This study reveals the scale and origins of small arms proliferation in the Pacific. It provides the first comparison of the number of firearms in 20 Pacific countries, both legal and illegal, state-owned and civilian. Imports and exports of small arms are tracked from one nation to another, documenting both sellers and buyers. Small arms used in crime, conflict and coups are traced to their source, revealing a single prominent pattern of origin. The study compares each country's gun laws and their loopholes, tracks gun-running routes in the Pacific, discusses regional initiatives and evaluates disarmament processes. Detailed case histories document the impact of small arm-related violence on the region's worst-affected communities.